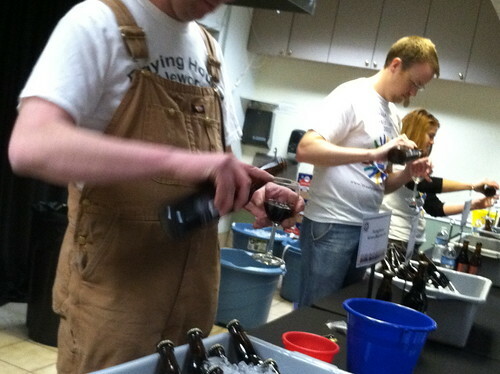 Volunteers stand at stations all over the mall ready to pour you anything from Duvel to Sam Adams. Some local and nearby breweries sent their own reps – like Port City, which had a station all to itself and a crowded room of eager fans. 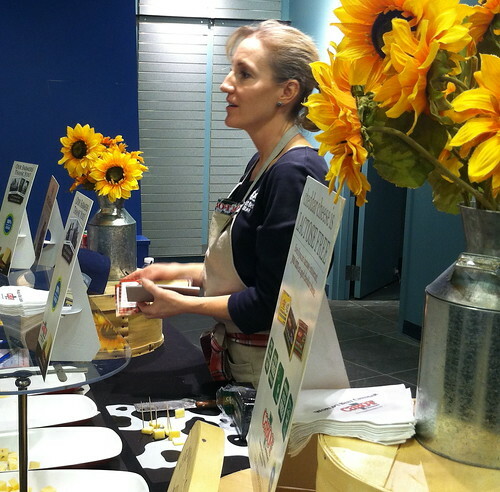 Others hoped the free food at their stations – provided by Authentic Memphis Barbeque in Crystal City, Cabot cheese, and The Perfect Pita – would gather crowds to them. Personally, I enjoyed Station Four the most. There I met some other Memphians (the owners of Authentic Memphis Barbeque, of course), tried their pulled pork (not bad), and drank Ommegang and Duvel. Sadly I missed Synetic Theater‘s mini-performances, which took place at Station Six in their lobby every 30 minutes. Hopefully next year they’ll bring that element back (and advertise it better), because a free Synetic performance is another big perk. If you aren’t familiar with the Crystal City Shops the beer walk makes for a good intro, although the route can get a little confusing. The whole event must help area businesses: by about Station Eight I was deciding whether to buy a marionette puppet from Puppet Heaven or a whale-shaped snuggle pillow from Rite Aid. Plus I left with a plethora of coupons, gift cards, and freebies from shop owners. I wish I could tell you more about Station Ten, the last station of the walk and the one containing the most beers (well, “beers,” since it included Pabst and Old Milwaukee). But I don’t really remember Station Ten all that well… I remember really, really, really liking the Leinenkugel Berry Weiss, and then I remember drunk dialing my husband. 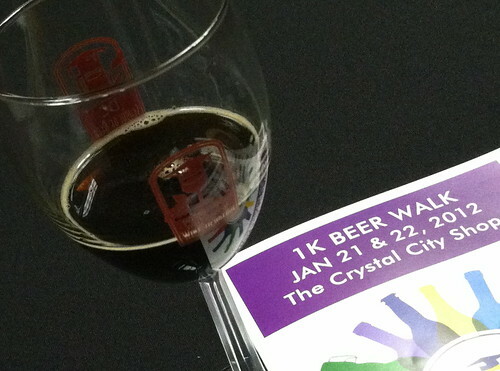 Point is, come down to Crystal City next year and try your hand at walking with either wine or beer to slow you down. And just like with any big race, bring some friends to keep you motivated, drink plenty of water, and eat some carbs beforehand. Love the write-up & it sounds like it was a lot of fun. Thanks for the Cabot love… Cheers! How to get people to Crystal City? Beer! Brilliant idea. Can you guys start putting up posts about these kinds of events and concerts before they occur instead of just doing writing ups after-the-fact? Sometimes you write about a concert, for example, that sounds completely amazing, and I had no idea it was happening ahead of time. Thanks!